Moving is an exciting time in a person’s life. Whether it’s for a new job, to be closer to family or just a change in scenery, relocating to a new city or state can open up a world of possibilities. If you have a move coming up to or from the Menominee, Michigan area, we are here to help. 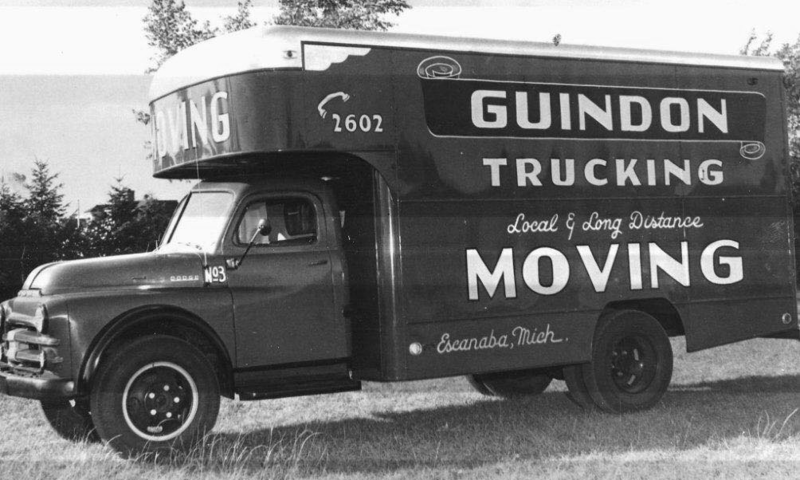 Guindon Moving & Storage has been in business for over 80 years as a full-service moving company lending a hand to families and business all around Northern Michigan and Northern Wisconsin. Our expert movers have experience in hospital, school, residential and office moves, and it doesn’t stop there. We will ensure that your move to or from Menominee is well taken care of. Menominee is a beautiful city in the Upper Peninsula of Michigan with a rich history tied to its name. Get your move started with Guindon Moving & Storage for a successful transition to Menominee. County seat of Menominee County in the state of Michigan, Menominee, MI is the fourth largest city in the Upper Peninsula with a population of over 8,500 according to the 2010 census. Menominee is a name derived from the Native American tribe and translates to “wild rice” which was the staple food they cultivated. The city dates back to the 19th century when Menominee, MI was largely known as a lumber town. Nowadays, Menominee’s economy includes shipbuilding, airplane and auto parts, health care, and paper goods. The city’s historic roots can be found within Menominee’s Historic Waterfront Downtown located along the shores of Green Bay. After your move, make sure to take a stroll down the streets of Menominee’s downtown to take in the beautifully restored 19th century buildings. You could also visit the Historic Museum or go on the Menominee Historic District Walking Tour to dive deeper into the city’s century-worth of history. After your trip back in time, upscale restaurants, galleries and day spas are just a few of many things downtown has to offer for even more enjoyment. For those moving to Menominee looking for outdoor recreation, you won’t have to do much searching. The city features numerous parks including Great Lakes Memorial Marina Park, Veterans’ Memorial Park, and John Henes Park. Many of Menominee’s parks feature a beach area for swimming, paths and trails for walking or biking, fishing and boat launches, picnic areas, and playgrounds! Menominee also hosts several exciting events for residents and visitors of the community. Concert series, art shows, car shows, and an annual four-day Menominee Waterfront Festival. Gather with friends or bring the whole family for a fun day full of activities during this festival that’s been held for over 30 years. Don’t miss out on the music, food and drinks, children’s events, fireworks and more! Whether you’re moving to charming Menominee, MI or venturing out of the city, we are ready and equipped to get your move started. Our skilled movers at Guindon Moving & Storage are highly-trained and experienced to provide you with a stress-free move that is efficient and affordable. We are a family-owned and operated company that delivers unmatched customer service from 80 years of experience in the industry. Rest assured knowing all aspects of your local, long distance, or international move is taken care of when choosing the professional movers of Guindon Moving & Storage. We even offer packing services, moving supplies, and short or long-term storage options to fit any of your moving needs. As agents of Stevens Worldwide Van Lines, we are part of a nationwide network of industry leaders. Rely on Guindon Moving & Storage for your upcoming move and give us a call or fill out our online form for a free quote today.